A United Kingdom-based Nigerian, Ayadi Moniaye, has accused the Jubilee Parish of the Redeemed Christian Church of God in Manchester of turning his ex-wife against him which eventually ended their marriage. Moniaye, who said he got married to his wife in 2000, said the marriage packed up in 2009 after years of domestic violence. Because according to him, a group in the parish taught women how to get the support of the UK immigration policy by abusing their spouses. Punch reports Moniaye said his wife assaulted him on many occasions, but he did not retaliate which got her frustrated. 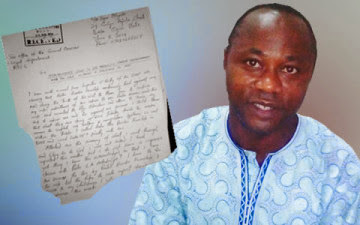 Moniaye showed the Punch correspondent documents detailing his ordeals in the UK, including an alleged accusation by his wife that he was mentally unstable. The allegation of mental instability was, however, rejected by a document dated June, 2010 and issued by one Dr R.A. Jones of Manchester Mental Health. Another document by one Mama ‘Toro, an elder in the community, dated February 2011, read that Moniaye had been beaten several times by his wife. Moniaye told our correspondent that although he had been separated from his wife, he was concerned about the negative impression such incidents were creating for Nigerians. He said all efforts to get the matter to the attention of the General Overseer of the church, Pastor Enoch Adeboye, had been rebuffed by protocol officers. I am deeply concerned about the way women are portraying the image of this country to the outside world. And it is unfortunate that the church would be used as a platform for this. My concern is how we can correct this impression,” he added. It was learnt that police in Manchester, which investigated the case, sent a feedback to Moniaye. PUNCH Metro visited the national headquarters of the RCCG at Oyingbo, Lagos, where he met one of the church pastors. He directed our correspondent to the Redemption Camp on the Lagos-Ibadan Expressway, saying matters of such magnitude were usually addressed there.